This is a great song. 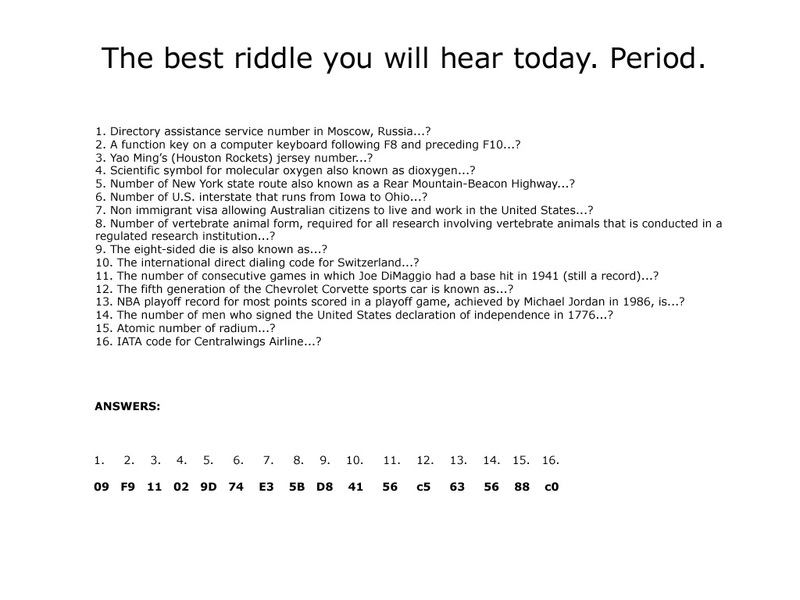 And these are some of the best riddles on the Internet. Incidentally, I also quite enjoyed this article on the BBC web site. Here’s a great way to look fashionable while viewing creative artwork. Couldn’t someone have foreseen this? Is that person still employed?